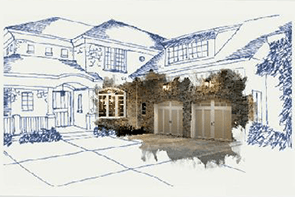 Carriage-house style garage doors, steel frame, insulation-optional. Insulated sectional, coiling/rolling steel, full-view aluminum and more. Welcome to Global Overhead Doors! For over a decade now Global Overhead Doors has been serving all of central Alberta and Western Canada. 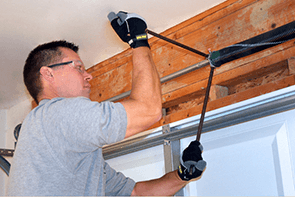 With our expertise in supplying/installing and servicing Residential and Commercial Overhead and Entry Doors, we dedicate our true integrity to ensure complete customer satisfaction. We offer a wide variety of designer overhead and entry doors for all residential applications and budgets. 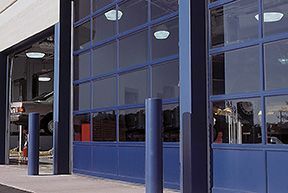 For our commercial applications we offer doc seals, doc levelers, rolling steel, sectional overhead, rubber doors and entry doors for your complete commercial project. 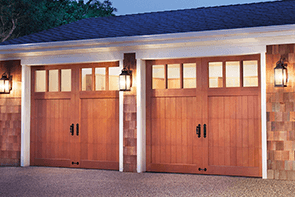 We welcome the opportunity to supply, install, or repair your garage door and answer your garage door questions. Please visit our contact page or email us directly at residential@globaloverheaddoors.com to get in touch! ©2019 Global Overhead Doors Ltd.